Presenter, Producer – Trans-Electronic Music Productions, Inc. 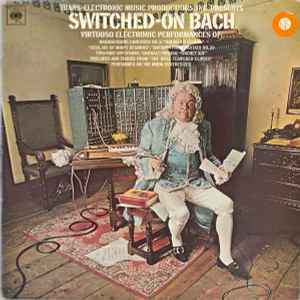 Original UK pressing with deep orange CBS vinyl labels and Bach sitting down on the cover photo. Benjamin Folkman is spelt correctly on sleeve but spelt incorrectly as "Benhamin Folkman" on vinyl labels. Track A7, B1: From Book I of "The Well-Tempered Clavier". This album was devised and produced by Trans-Electronic-Music Productions, Inc.
Special thanks to Mary, Hilda and Florence. "Sleeve produced by the Upton Printing Group" NOT on non-laminated sleeve.